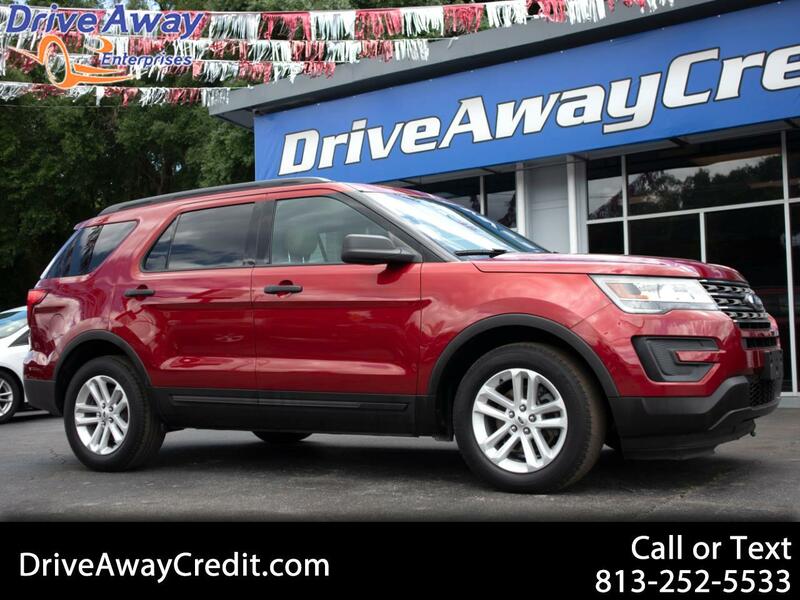 With a fresh, modern style and legendary capability, our family-friendly 2016 Ford Explorer SUV looks great in Red! Powered by a 3.5 Liter V6 offering 290hp on demand while tethered to a responsive 6 Speed Selectshift Automatic transmission. This Front Wheel Drive Explorer delivers responsive steering and smooth handling that will have you looking for reasons to get out find adventure while enjoying near 24mpg on the highway! Upscale and bold, the stance of our Explorer is enhanced with LED headlights and taillamps. Open the door of our Explorer and check out the high-tech instrument panel, the Sync with MyFord Touch display screen, Bluetooth, and an impressive sound system. You'll truly appreciate the versatility of a 60/40 split second-row seat and 50/50 split third row as today's modern family requires a vehicle that can keep up with their demands and this SUV fits that bill!